Summer’s coming to a close and you know what that means… time to think about heading back to school. Don’t worry though – it’s not all bad! This year we’re kicking off the back-to-school season with a bin drive in partnership with SPUD Vancouver. Time to clean out the drawers and support some local kids, too. A few times per year, SPUD partners up with an organization in each of their four locations. As they drop off and pick up deliveries, they collect items from their customers in their SPUD bins that the organizations might need. This August, SPUD be collecting new school supplies. From August 20th – 31st, place NEW school supplies in your SPUD bin. 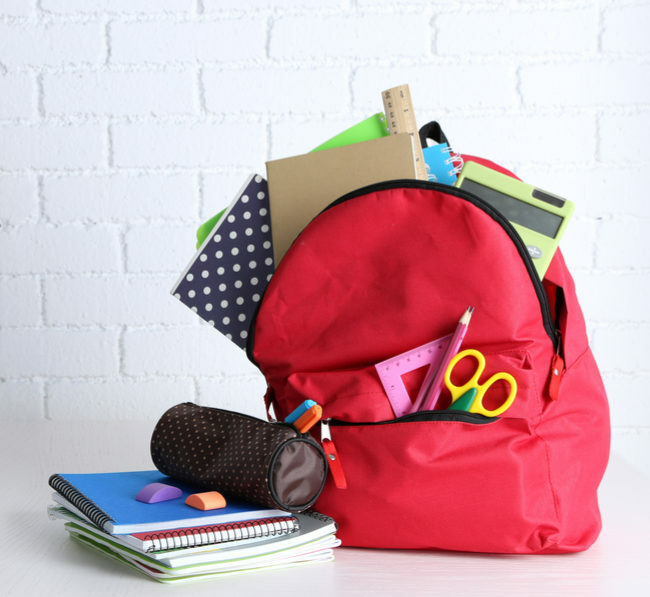 From August 20th – 31st, place NEW school supplies in your SPUD bin (maximum 1 bin per household*). *Please note SPUD will only accept 1 full bin of supplies per household. While SPUD appreciates that customers want to help, their facilities simply cannot handle the extreme volume of goods when they receive more than 1 bin/household. Have any questions about bin drive? Give SPUD a call!